Strong policy support - The President and policy makers in Washington, D.C., and across the nation support the development of the ethanol industry in an attempt to improve our self-reliance, energy security, and national economy. Expanded market opportunities - MTBE (methyl tertiary butyl ether), ethanol's chief competitor in the oxygenate marketplace, is being phased out due to its history of polluting groundwater. When MTBE is totally phased out, it will create the need for more than 60 new ethanol plants such as the Corn, LP project. Clean air advantages Federal clean air standards have created a high demand for oxygenates such as ethanol. The use of ethanol in gasoline is proven to reduce toxic emissions while providing octane at a competitive price helping keep our nation's air cleaner. Ready for what's next - Ethanol is well-positioned to accommodate demand in new fuel uses such as E-85, E-diesel, and fuel cells. 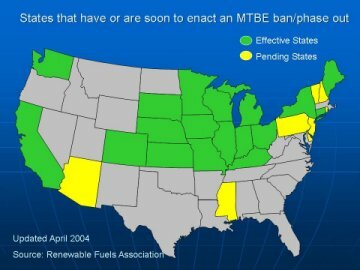 When 10% ethanol is blended in fuel that currently has MTBE, it will require 8 billion gallons of ethanol per year. 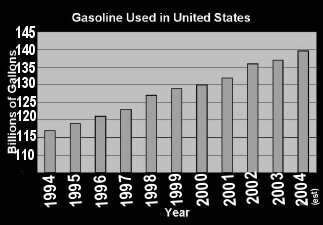 If all gasoline would have 10% ethanol, the U.S.would require 14.3 billion gallons of ethanol per year. Current ethanol production capacity is 3.3 billion gallons per year with an additional 417 million gallons under construction.